The Mets have been Team Injury so far through April. The 2017 MLB season is just under a month old, but already the year seems to be a wasted one for the New York Mets. After dropping their sixth straight game on Thursday, the Mets now sit at the bottom of the National League East, and the roster appears to be crumbling. Thursday saw Yoenis Cespedes have to leave the game early due to a left hamstring strain. 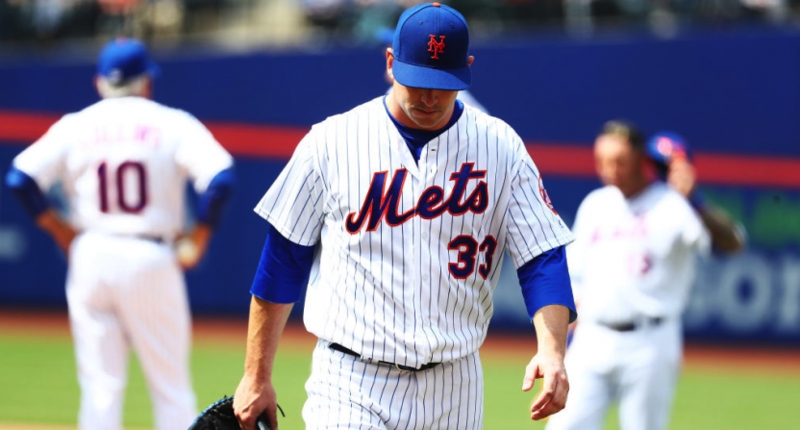 In the same game, pitcher Matt Harvey couldn’t get out of the fifth inning after getting tagged for six runs on five hits and walking five batters with just one strikeout against the Atlanta Braves. Harvey’s rough outing could be explained by having to make a spot start after Noah Syndergaard was scratched from the lineup due to a tired arm. As if that was not bad enough, Harvey only had a handful of hours to prepare for the spot start because nobody let him know it might be a possibility despite the concerns over Syndergaard’s arm being a concern for a while. And Syndergaard was apparently not in the mood to talk about the situation. He reportedly got out of the clubhouse before reporters got a chance to ask questions, and Syndergaard even took a shot at Mets P.R. man Jay Horwitz because reporters were getting too close. It was a miserable afternoon for the Mets, but it was just the latest episode in a month of letdowns for the Mets, two years removed from appearing in the World Series. The Mets are now entering territory no team with as much invested in a roster wants to be in at the end of April. Manager Terry Collins criticized the lack of energy in a team meeting following the 7-5 loss to the Braves. The way things look now, however, a kick in the rear from the manager in a postgame speech may not be nearly enough to get the Mets back on track to being a team competing for a spot in the playoffs in October, even with so much baseball still to be played. So how are the Mets going to win some ball games? They will have to do so by overcoming some crippling injury concerns. Cespedes was expected to go on the disabled list after being pulled from Thursday’s game. First baseman Lucas Duda is already on the DL, along with Wilmer Flores, Syndergaard, David Wright, Steven Matz, Seth Lugo and Brandon Nimmo. Yikes. April cannot end soon enough for the Mets. Perhaps a new month will breed new life. It may not be too late to bounce back, even for a team as decimated as the Mets, but the panic button has been pressed in the Big Apple. Sitting with one of the worst records in baseball will do that.